This is the second part of a three-part series on podcasts. Earlier this week we looked at podcasts created for children. Today we are looking a those that will especially appeal to teens (although many parents will find them of interest too). And we will end the week with a discussion about podcasts specifically aimed at parents. This is a recommendation for the 15-and-up crowd. Radio Rookies is a WNYC series "that provides teenagers with the tools and training to create radio stories about themselves, their communities and their world.” It covers difficult subjects through the eyes of New York teens experiencing them, including race, poverty, domestic violence, parenthood as a young adult, and graduating high school against the odds. Some of our favorite WNYC reporting is done by these radio rookies, who offer a fresh perspective and mature insights into issues that aren’t always truly understood by grown-up professional journalists. This radio show is a good way to show teens their potential and their value, especially if they’re interested in journalism or politics. 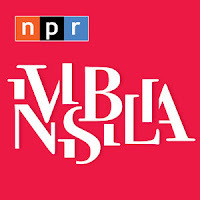 This podcast is amazing long-form reporting on “the invisible forces that control human behavior – ideas, beliefs, assumptions and emotions.” It prompts teens to think more deeply about themselves and the world around them. They’re all amazing, but two recent episodes have looked closely at how our clothes can change our minds and our behavior, and how noncomplementary behavior can be used to prevent terrorism and help us manage our relationships. There are two seasons out so far, with a total of 13 one-hour episodes that will leave your teens (and you) thinking twice about everything. We’ve mentioned this fantastic podcast twice previously, but are including it one more time because it’s really a can’t-miss production. 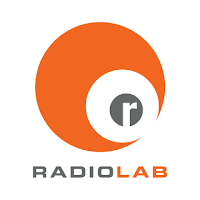 Radiolab has been around for quite some time and has covered everything from the hidden world of plants beneath the ground to the heart-wrenching story of a child born on the cusp of what doctors call the age of fetal viability. Some of the episodes focus on really difficult subject matter, like how to (theoretically) ration medical supplies during a pandemic when you know you can’t save everybody, or how parents cope with caring for a terminally ill child, but everything is presented in a truly beautiful format, complete with original music. The podcast is a great way for teens to become engaged in deep moral thinking, as the hosts often go back and forth with each other and with themselves as they grapple with tough moral dilemmas. A miniseries spin-off from some of the talented folks who make Radiolab, More Perfect is great for teens who are interested in government and politics, but without all the messy current events flooding the airwaves. This six-episode series explores the history of the US Supreme Court and some of its most influential cases that you probably didn’t learn about in school. The episodes cover issues like cruel and unusual punishment, how the court became the powerhouse it is today, and why it’s so hard to prevent race-based jury selection with a court ruling. They even came up with a great jingle for remembering the names of all the current (and prospective) Supreme Court justices. Not all of the episodes from the podcast for “anyone trying to preserve their humanity in the digital age” will appeal to teens, but many are sure to strike a nerve. Some of the best episodes look at tech etiquette around the world (phones at the table? Yes in Korea. No in France. ), FOMO vs. JOMO, and the weird world of mood-altering wearable devices. There are also two challenges, Infomagical and Bored & Brilliant, that will prompt your teen to consider how she or he consumes media and uses electronics. This is another long-time favorite, hosted by journalist Stephen Dubner and his sometimes-partner, economist Steven Levitt. The show uses the theory and methods behind economics to try and explain some very interesting, very non-economic issues. Some memorable episodes have asked how much does the president really matter, why does everyone hate flying, do boycotts work, and why do people wear belts? The show has covered a broad range of topics, allowing teens to get a feel for fields that interest them. The host has interviewed US Senator Cory Booker, NYC pencil-shop owner Caroline Weaver, and everyone in-between. The Moth podcast compiles true stories from people all over the world told live on stage without a script at Moth StorySlams and Mainstage events. They have a regular presence in small NYC venues. Both the live shows and the podcast are great for exposing teens to what life is like for different kinds of people in different kinds of places and situations. It can also show young writers or poets models for different ways of expressing themselves and constructing their stories. This is the podcast of podcasts. The show has been around for more than 20 years, and it’s had the same host, Ira Glass, and his unforgettable voice since its inception. We can’t tell you how many times this show has made me cry, or how many episode your blogger has assigned as required listening for my undergrads at CUNY, but we do know that the team at This American Life goes above and beyond every week to bring us stories about people and the interconnected lives we lead. 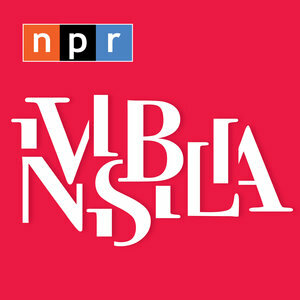 This podcast can help teens feel more connected to our world and to our neighbors. Two of our recent favorites include #589: Tell Me I’m Fat, and the two-parter, #592/593, in which the producers spent time getting to know some of the people living in refugee camps in Greece. They also have their own favorites list, currently topped with an episode about two schools right here in NYC that feel like they’re worlds apart.